BRYAN EATON/Staff photo. 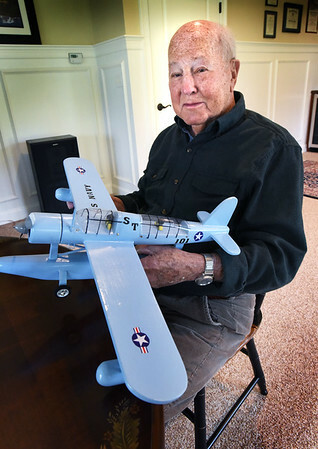 Joseph Babineau holds a model of a Vought OS2U Kingfisher which was an American catapult-launched observation floatplane that he flew in World War II. The West Newbury resident is going to be the grand marshall of the town's Memorial Day Parade on Monday.